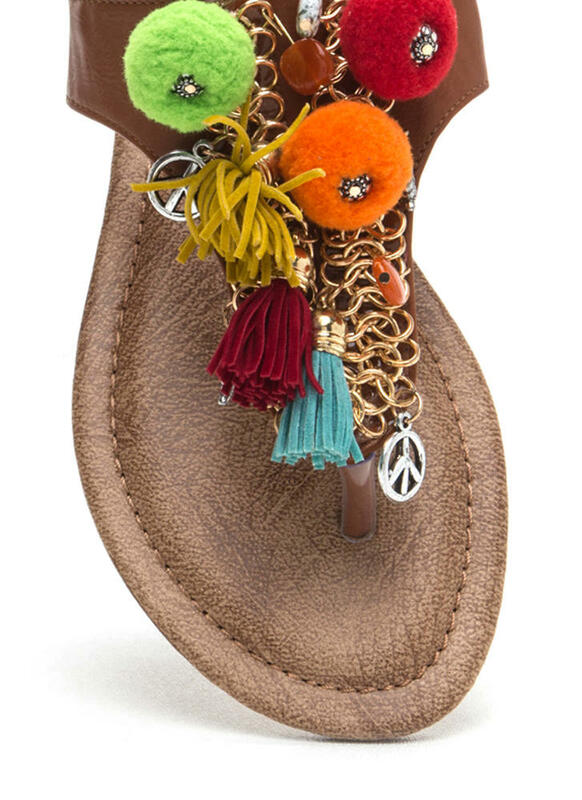 Your little getaway wouldn't be complete without a pair of vibrant, boho-inspired sandals! 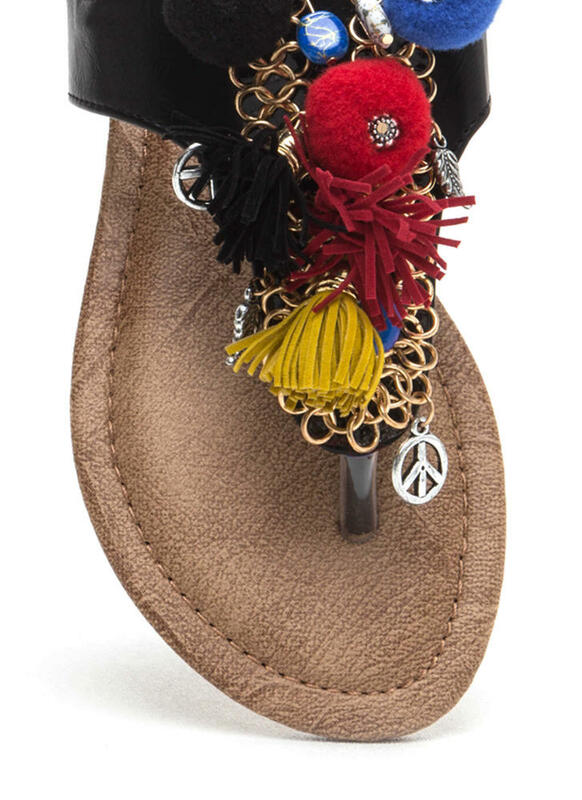 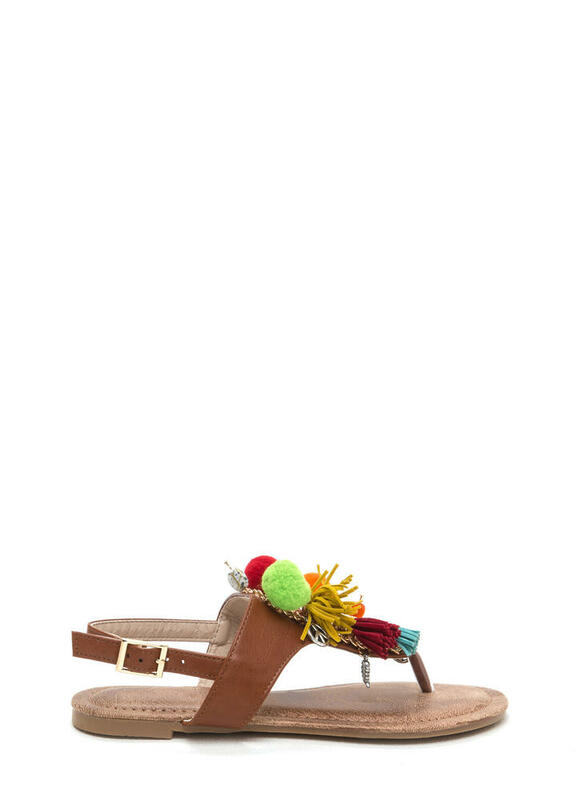 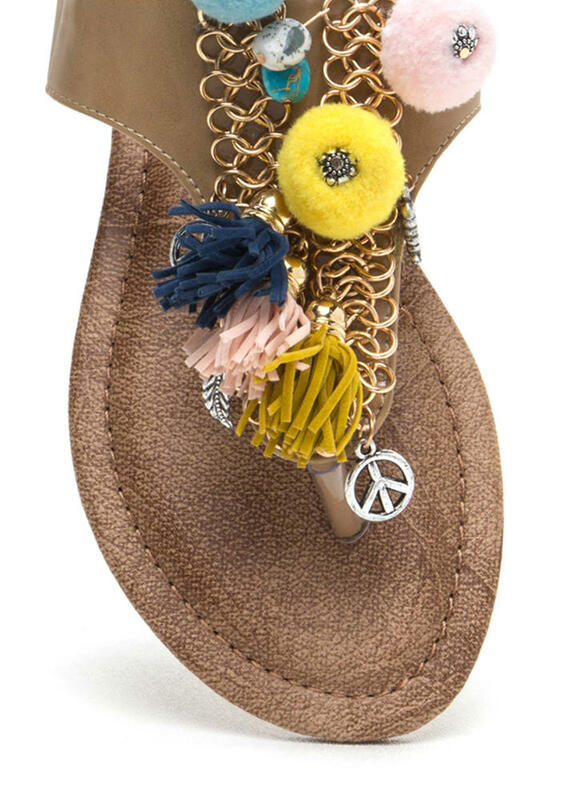 Vegan leather, open-toe sandals feature a triangular panel embellished with layered metallic chains; vegan suede tassels; and charms shaped like peace signs, feathers, and faux stones. 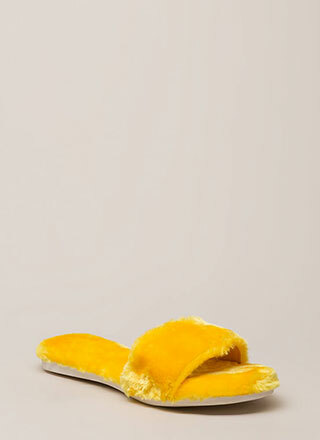 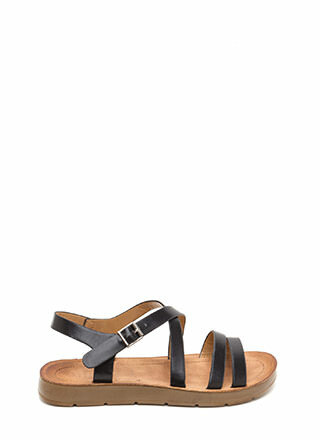 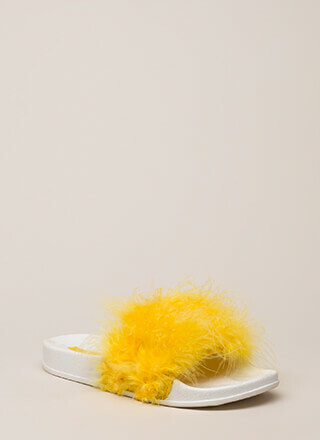 Finished with an adjustable slingback strap and a textured sole.